Rooted Android: the LTE is pretty handy when you’re browsing the web or downloading files that you need, but when you aren’t actively using your phone, it draws a lot of battery without being useful and drains it. Smart move by Smart Network, wherein it switches your phone to 2G when your screen is off to save battery while keeping you connected, so practical. And there are lots of activities going on with your Android device even when you’re not actually using it or not paying much attention to it while it’s on. 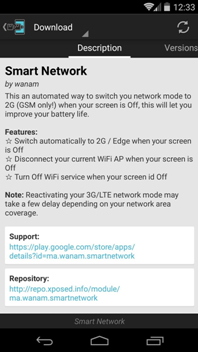 So Smart Network gives you the option to set your default network mode when the screen is on and off, and this may require a bit of research to see what your phone supports. You can as well set it to disconnect or turn off Wi-Fi perhaps when your screen is off if you so desire. You can even whitelist certain apps, so your network won’t switch to 2G if a certain app is doing something important like streaming music or video or movies perhaps. Let’s assume that switching between 2G and LTE would take too long for it to be practical, but believe it it’s actually quite seamless or flawless. When unlocking the Android phone, it takes only a second or two to switch to LTE, that fast- fast enough that you don’t even notice it, and the battery life has been stellar so far. 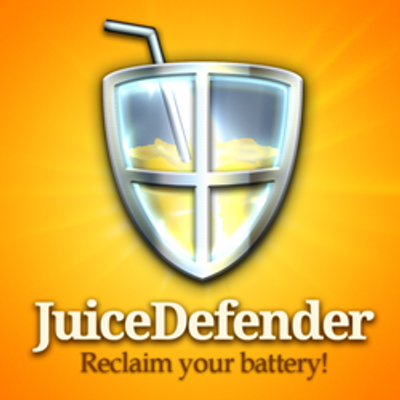 Though there are lots of battery-saving apps now available in Google Play store and one of the popular battery-saving apps is the JuiceDefender, which has had this feature for awhile, but only in the $4.99 Ultimate version. JuiceDefender basically contains a bunch of other features as well, but if all you want is this one tweak, Smart Network is great alternative that’s for free, especially if you’re already using Xposed.